Space clearing is an invisible treasure, which allows us to bring a feeling of clarity and balance back into our life’s. It can be used to lift and revive the energy in a home to create and manifest limitless possibilities! To clear out the old; welcome in the new; when finding a new job; for a more harmonious relationship; when wanting to boost your business; or for a better night sleep; better health; more peace and calm; for happiness; for removing unwanted spirits, protection or even theft… it’s the answer when all feels stuck. Even overwhelming. There is nothing worst than trying to space clear while juggling life’s daily interruptions! Allow any time frame to suit you when space clearing. If you have 5 minutes or 1 hour, allocate that time for you and your home. Turn off phones, lock the doors if need be…. If you have given yourself that time for space clearing, use it with a clear mind and focus. When space clearing, you do not have to use all the tools. You may be drawn to only a couple, depending on your situation at hand and time frame. There is no ‘right or wrong way’… using the many forms of space clearing will still alter and shift the present energy – As long as your intention is clear. 1. Connect with your home. Your home is a physical manifestation of you. Telling a story of who you are and what you would like to experience in your life…..
Connect with your home. Maybe even ask it how it is feeling? Sense or feel what it is your home needs. Take a few deep breaths to really ground and bring your self into the present moment. At this point, you may like to imagine or sense a divine white light, or crystalline energy coming down into the home…. Filling the whole of the home, garden and boundary. What is your intention? What are you wanting to manifest, create or feel right now? Remember to really see it, feel it and live your intention when space clearing. At this point, I light and ‘intention candle’… I get a candle that smells divine, or one that is ‘just mine’ to use when setting an intention. After I space clear, I like to leave the candle alight to remind me of my intentions! 3. Place lit incense throughout the home. Light incense and place a generous amount throughout the home. One incense stick for upstairs and one for downstairs is usually enough, except for if you are wanting to clear out a particular room, in that case add an extra stick in that room. Nag champa, florisens, tibetean incense or another form of PURE incense is more appropriate than fragrant incense. This will help to clear subtle negativity and will help lift your energy field. I always use incense as a morning ritual. I wake, light my insence, set my days intention, put on some sweet music and make a cuppa! A smudge stick is made of bundled herbs and is bound together with string. White sage is best to use, as it is the purest herb to use when clearing heavy or stagnant energy in a space. Light your ‘smudge stick’ with the intent of clearing blockages. You may also like to open as many doors and windows at this time to renew the air in your home. An alternative or companion to white sage is a sacred Palo Santo wood stick. This clears unwanted spirits and sticky negative energies. 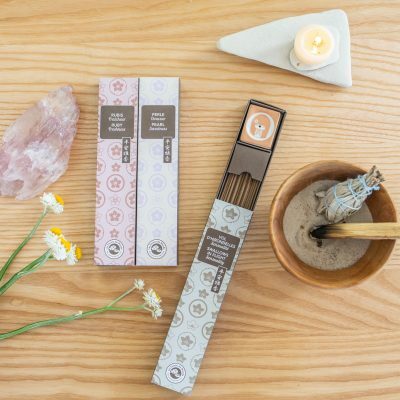 Palo santo is a perfect space clearing tool to use after you smudge the home with sage, as it clears all the remaining residue….. it can also be used as a tool on its own when you are feeling really stuck! It takes longer to light than sage, so be patient when getting it going…. Lighting it over a candle is best. 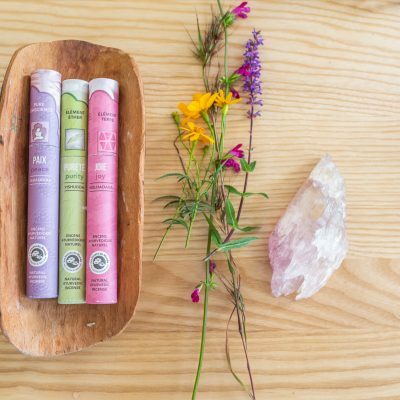 Clearing sprays are made up of purified crystal, luna inspired water: paired with aromatic COLD PRESSED essential oils – bush and wild flower remedies – vibrational healing, intentions and sound bath symphony! These clearing sprays are our homes ‘best friend’. An essential ingredient that can be used in any situation to really reframe and shift the emotional energy in a room or around a person’s aura. Lightly spray your surrounds – begin with a gentle spray around your own aura, and move on to any ‘high traffic’ area or ‘that room’ you don’t feel comfortable in…..
Spray a little or a lot! Use feel and intuition to guide you. If the room if really ‘stuck’ in ‘yuck’ – remember to use your sage or palo first!! • I love using these sprays particularly with kids! It’s amazing to see how quickly it can shift their state of mind. • These sprays are also a must when working with people and in your working environment. Use the spray to remove what isn’t ‘your stuff’ and rejuvenate and create a fresh beginning within the room. • Clearing sprays are also great travelers. Use it to clear a hotel room when you are away from home to shift out the energy of past occupants! Tibetan bowls were originally made by the monks while they chanted! Wow! However, today it is hard to find a hand made bowl, as they are now commonly mass produced in a factory setting… The best is to purchase one while travelling to places such as Tibet, Thailand, napal or India! Tibetan bowls are the manifester’s! You use them to simultaneously clear out the negative energy in a home, and to manifest what you want in your life and your home. When you use the bowl, you will hear the different sounds it makes while clearing and creating through each process.. It’s amazing! Tibetan bowls shift and release energy blocks. They create an environment of harmony and peace…. Stillness. Crystal singing bowls are my powerful favorite. The bowl sounds like singing angels! This bowl is known to alter our cells; changing and lifting negative thoughts and imprints to a healthier and healed cell structure. These bowls truly shift anything heavy in a moment. They can bring you and your home back to divine alignment. Shattering and dissolving all unhealthy blocks and fears. Leaving only residue of simply divine bliss!! Use any of these tools as much as you wish! Don’t make it a have to, just pick up what is at hand and invite it into your daily life. Keep it simple and enjoyable! – Have the incense ready to go in the morning – place incense with sand bowl near by your morning walk to the toilet or kettle! 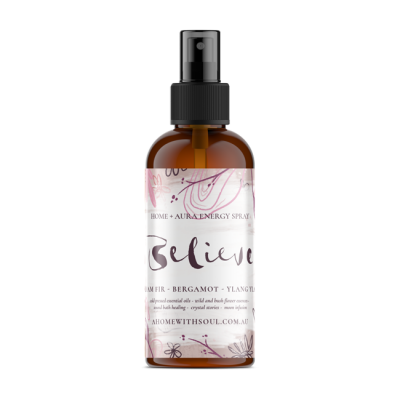 – Keep clearing spray or essential oils in your handbag; in the car; or on your bedside table. Spray, inhale, or place a drop on your hand, rub, and brush through your aura to clear away unwanted emotions, or to invite the feeling or energy of the essential oil and clearing spray. – Have a Tibetan bowl on the dinner table ready to gong as you set up for dinner. 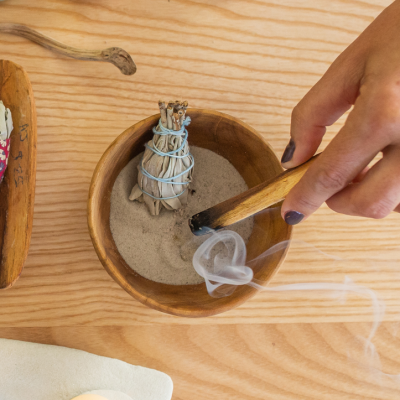 – Keep smudge sticks or Palo Santo sticks on the coffee table to remind you to smudge when times are heavy or ‘thick’… stuck. – Play music often, sacred earth is always a favorite. Instantly shifts energy in the home.